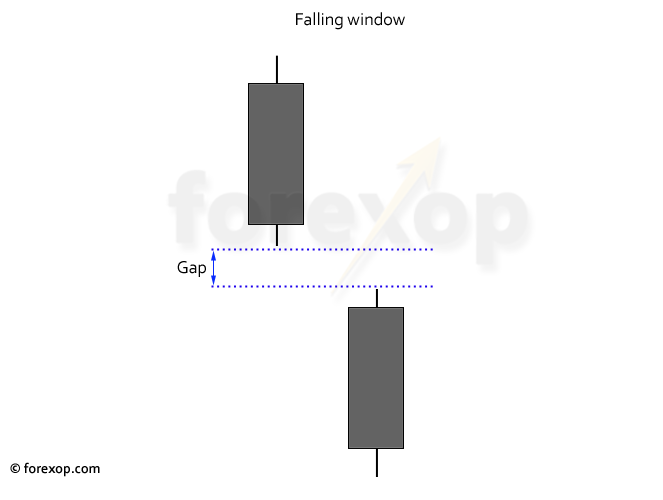 A falling window is a type of candlestick pattern that can appear in market selloffs. It forms where the price falls rapidly and produces a gap between the lows and highs of neighboring chart bars. It is conventionally treated as a bearish continuation. However as shown below it can sometimes be a sign of a bullish reversal as well. The falling window is made up of at least two disjointed candlesticks. To be a valid signal there should be a noticeable gap between the low of the first and the high of the second candlestick. The price gap can be wide especially when the market is moving quickly or when liquidity is low. The candlesticks can themselves be either bearish or bullish. In most falling window patterns at least one or more typically both candlesticks are bearish. See Figure 1. Falling windows can appear in any kind of market. Chart traders will look at them carefully wherever they appear, especially where the price drop is significant. These patterns often show in clusters. And sometimes each instance will be made up of more than two candlesticks. Figure 2 shows a snapshot of the IBM stock price on a daily price chart. Here the price suddenly gaps down overnight after a brief upward trend. This produces the bearish falling window. The calculation here shows a 63% chance of a downwards continuation following on from the pattern. A falling window as a rule appears in two kinds of situations. The first is when sentiment unexpectedly turns bearish. This can happen for example on the release of disappointing economic data. It can happen after a short bullish swing, a bullish trend, in a flat or down market. In these “surprise events” the price can fall quickly. This leads to gaps between the open and close of the two bars as the market catches up. Gaps are of course much more common and noticeable when there’s a market close between the two candlesticks. This means exchange traded instruments like stocks see far more of these events than do currencies. The window gap can be especially wide when liquidity is low and there’s a sudden rush to sell out of the market. This can happen at any time – whether or not the market closes in the meantime. This second situation is when traders sell out of long positions on-mass, this can turn into a long squeeze event. This has the effect of pushing the market lower before new buyers come in. Major currencies have much greater liquidity than do stocks so the chance of a liquidity squeeze is that much lower when trading main currency pairs. 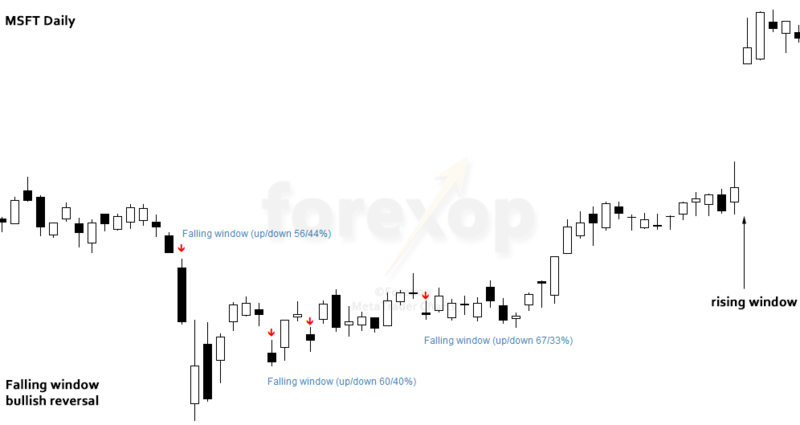 One of the noteworthy features of the falling window is that the bars in the pattern can afterwards develop into lines of support and resistance. That means in a price fall, the bottom of the first bar can act as a resistance or a barrier to the price moving back up above that level. These lines can provide useful references for stop loss positions. When entering a short position for example, the stop loss exit can be positioned between the bottom of the first bar and the top of the second. That is, within the window gap. Don’t assume that a falling window is always a bearish sign. It can also be a strong indicator of a bullish reversal. In other words it can be a contrarian flag. Keep a watch out for when a falling window pattern shows up in a deep bearish trend and where the market is oversold. This is because it can lead to a bullish breakout. These are usually long squeeze events. This is where long side traders are squeezed out of the market. 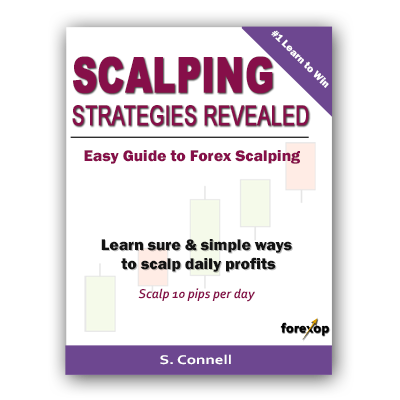 The squeeze causes a wave of sell stop losses to be triggered, and this increases the sellers and adds to the price collapse and the triggering of even more sell stop losses. When we calculate the breakout probabilities in the above chart for example it shows there’s a higher probability of a bullish breakout than a bearish continuation. This rises as the new bullish trend starts to take hold. 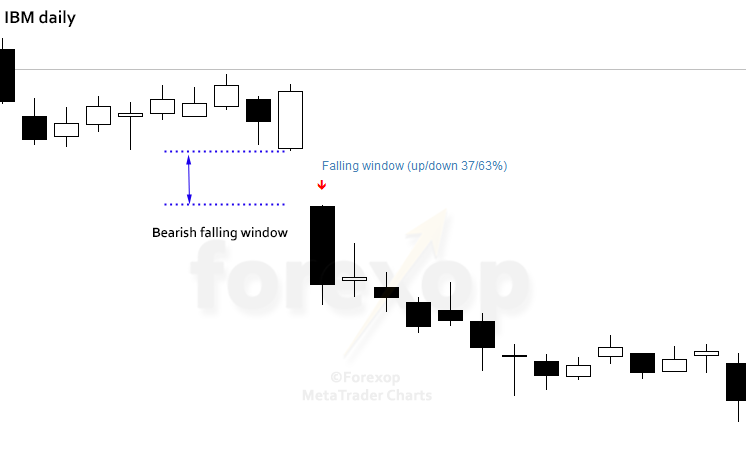 The chance of a bullish trend rises from 56% to 67% as the four falling window patterns appear. We then see the trend rise further with a rising window pattern on the right of the chart. Because the falling window can be either a bullish or a bearish signal we have to look at the surrounding chart and fundamentals to try to asses in which direction the breakout will be. Awesome tutorials about tools for market assessment. I will keep on following you for informative blog posts.